nursing and income based housing in Northeast Pennsylvania. EEI and The Meadows campus philosophy is centered on providing excellent nursing care at our skilled nursing home, exceptional personal care and to assist our communities with income based housing. Our goal is to demonstrate dignity and respect to all in a charitable way. Our philosophy is centered on providing excellent nursing care, along with comfort, respect and dignity to all residents, and our goal is to demonstrate that dignity in a charitable way through our nursing home, personal care home and housing. We welcome families and friends both near and far to keep in touch with their loved ones! Please fill out this form in its entirety and we will hand deliver it to your loved one! The Meadows Manor will be hosting a free community lunch & learn event with The Alzheimer’s Association on Tuesday February 19, 2019 at 12 noon. 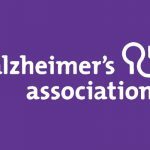 The Alzheimer’s Association will be presenting “Know the 10 Signs”. Tours of the Meadows Manor will be held prior to and after the event. Pleas RSVP to (570) 675-9336 to reserve your seat. Ted is pictured here with his loving wife Judy. Ted recently transitioned back home after stays at both Meadows Nursing & Rehabilitation Center and The Meadows Manor. While family here at The Meadows miss seeing his smiling face everyday, we are all so very happy for Ted & Judy and their ability to once again enjoy their lives in the comfort of their home. Thank you for giving me the opportunity to comment on my experience here at The Meadows Manor and Nursing and Rehab. On May 7 I suffered a severe stroke that paralyzed my left side. As fate would have it, I came to Meadows from Geisinger. Since then I have undergone extensive physical and occupational therapy. Shortly after coming here, I moved to the Meadows Manor. I am currently working on my MSFT. As part of that program, I have extensively studied geriatric care in nursing and personal care homes. In my estimation, Meadows meets and surpasses the criteria for excellent personal care. I feel fortunate that I ended up here at Meadows Manor, where attention to my needs in healing physically, mentally, and emotionally are their first priority. I am particularly impressed with how diligent the PT and nursing staff is, how any time I have had problems relating to my condition, I received solutions immediately. Moreover, I have been treated with kindness, compassion and caring in an atmosphere of love. Everyone knows my name and everyone is attentive to my particular needs. I find this true at all levels, from nursing, kitchen staff, maintenance and administration. I feel welcome here and and I feel at home. (As much as you can when you are not home) Furthermore, I am rapidly making progress with my physical rehabilitation. In closing, I want to thank you for your efforts in maintaining this healing atmosphere. I understand that Meadows has earned several awards and in my estimation it certainly has earned them.